The family will greet friends starting at 10:30 am. Lois Mae Crain, age 79 of Traverse City, died October 21, 2018. Lois was born on December 28, 1938 in Muskegon, Michigan to Rev. Edward Earl and Rev. Etta Froats. Lois married Lowell Crain on June 30, 1956. 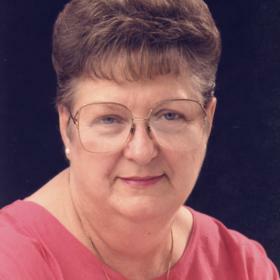 She retired from Traverse City Osteopathic Hospital and continued working as a home aide and at several nursing homes. Lois loved RV camping at Woods and Water's Campgrounds with family. She enjoyed family reunions, yearly vacations to different states, hosting Thanksgiving meals at her house and watching the Detroit Tigers and Redwings. She was very loving and generous and opened her heart and home to several foster family children. Lois is survived by her sons; Lowell "Eddie" Crain and Roger L. (Melanie) Crain; three grandchildren, Recardo (Carrie) Perez, Raymond Perez, Marta (Nick) Pratt; sister, Ruth Madison and several great grandchildren. She was preceded in death by her parents; husband, Lowell; daughter, Elvena Crain; sister, Naomi Taylor and brother Jerome Froats. A funeral service will be held at Noon on Saturday, October 27, 2018 at the new location of Life Story Funeral Home, 400 Hammond Rd. W., Traverse City, with Deacon Tom Bousamra officiating. The family will great friends starting at 10:30 a.m. Burial will take place at Inland Township Cemetery. Please visit www.lifestorytc.com to sign the guestbook and share your thoughts and memories with the family.